Before we show you this collection, you may have some questions like what a WordPress theme framework is, what type of theme frameworks exists, and why you use it. So let’s answer these questions first, which help to pick the best framework for you. A theme framework is similar to how programming languages have frameworks. It simplifies often long and drawn out tasks in creating common functions in a theme. For example, Genesis has a customized function to create a new loop (the posts, essentially) multiple times on one page. It takes only a couple of lines of code to determine a precise category/tag/other criteria from which you want posts displayed in that loop. A stand-alone base/starter Theme that is intended either to be forked into another Theme, or else to be used as a Parent Theme template. A child theme (what you’re probably referring to by ‘theme’) is simply a theme that takes attributes from a parent theme. Styles are only changed when overridden in the CSS or a customized template (a custom page.php or post.php) is dropped into the child directory. Child themes still use the normal WP code to provide the core functionality. Why do you use Theme Frameworks? The framework allows theme designers to create the theme layouts quickly without having to load the template down with a ton of WP programming. It’s a much cleaner approach to layout design. Which Theme Frameworks are Best? There are a number of theme frameworks out there, including free and paid options. Here we collect the most popular 10 premium theme frameworks for you to choose. Ultimatum is not just a WordPress theme or framework. It is a total design suite. With Ultimatum you are not limited to design or functionality offered like in other themes or frameworks you are totally in control of any aspect of your site with no coding skills required. A Drag & Drop DMS for Amazing Websites. An amazing way to create awe-inspiring, mobile-friendly, sites in minutes without coding. The world’s first drag and drop design management system for website with WordPress. Themify Builder is a drag & drop framework that lets you arrange content by dragging and dropping with live preview. Unlike other drag & drop frameworks, Themify Builder provides easy to use user interface which allows you to arrange the content blocks on the frontend by dragging and dropping. Canvas is a WordPress theme framework from WooThemes. Every element of Canvas is highly customizable through the options panel, so you can make the design, layout and typography exactly like you want. If you are after a highly customizable blog design or just a starter theme for your next client project, then Canvas will most definitely work for you! BootStart is a Bootstrap Theme Framework. It is an intentionally minimalistic yet feature-rich WordPress theme loaded with dozens of options to customize your site. It’s designed to be used as a starter theme or on a per-project basis. Gantry is a comprehensive set of building blocks to enable the rapid development and realization of a design into a flexible and powerful web platform theme. Also Gantry is available to you via the GPL license. You are free to use it in your theme development projects. Create your site with the original Drag and Drop theme builder for WordPress. Build any layout you can think of, customize any page, add colors, fonts, and more; all with the power of the Headway Visual Editor. Great web design has never been faster or more flexible. 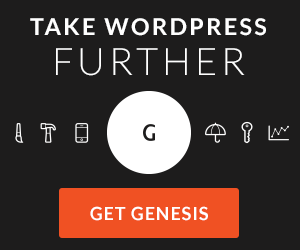 Take full control over your WordPress site. The Dynamik Website Builder delivers complete website control to non-coders with over 800+ Design Options, an organized user interface, along with advanced options which take the Genesis Framework to the next level. The Seed Theme is a base theme framework for Organic Themes. Seed features a fully responsive framework, retina optimized design, font icons, HTML5 and CSS3 construction, shortcodes, page templates, an audio player, WooCommerce and Gravity Forms compatibility and so much more! The Seed Theme was developed to contain all the functionality needed for crafting a beautiful WordPress theme without the added hormones. Theme 500 (free with IgnitionDeck) is a powerful WordPress crowdfunding framework designed to help you get the most out of your project/s. Incredibly easy to customize, the 500 framwork is the perfect building block for your next crowdfunding theme. The Elemental theme for WordPress is a versatile powerhouse. Everyday bloggers can jump right in, configure their options and launch a professional blog. Developers and WordPress consultants using the multi-copy Elemental can rapidly build client sites in a variety of styles and deliver premium websites geared toward any purpose. is there a way to determine what framework you are currently using? Or is it possible to import one of the above mentioned frameworks? We are not using a framework, we use a custom theme made by ourselves. I think he means in general, like if you currently have a WP site, can you find out what framework it’s using already. Thanks for the list guys. Some very interesting information. Another great WordPress theme Framework to be added http://teslathemes.com/framework-tour/, that includes a lot of advanced feature, is easy to use and manage. WordPress Canvas just came out and is a starter WordPress theme for designers and developers. Upload custom fonts, use Google Fonts, easily create your own theme options, these are just some of the features.